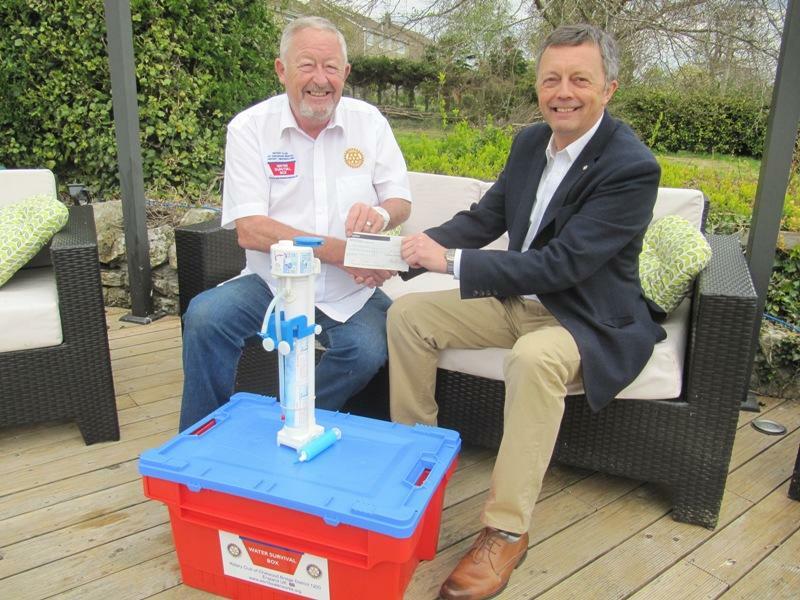 Laurence Kettle, Chairman of the International Committee presented a cheque for £3,000 to Ray Lithgo director of World Water Works Ltd to purchase Water Survival Boxes to be sent to Nepal. 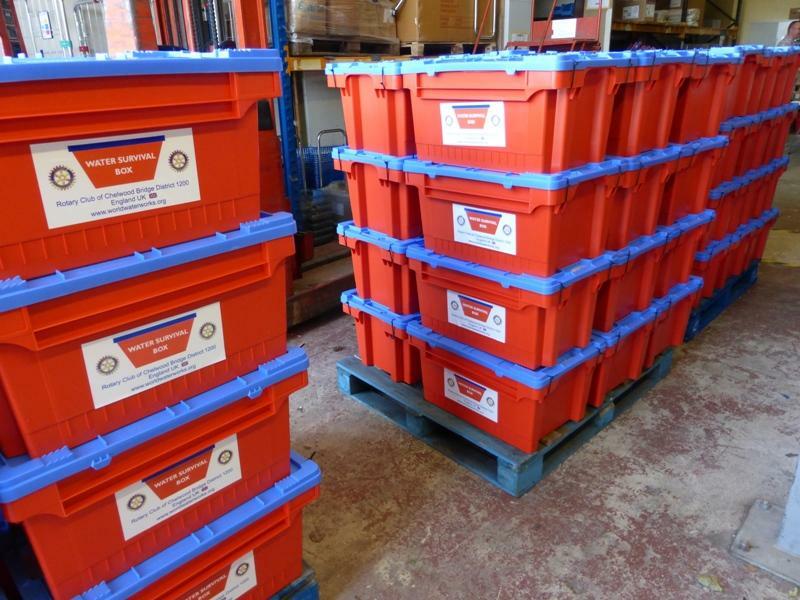 Each box costs £150 and is a 54 litre container full of new items that people that have lost everything would need to survive such as spoons, cooking pots and tarpaulins to make shelters. 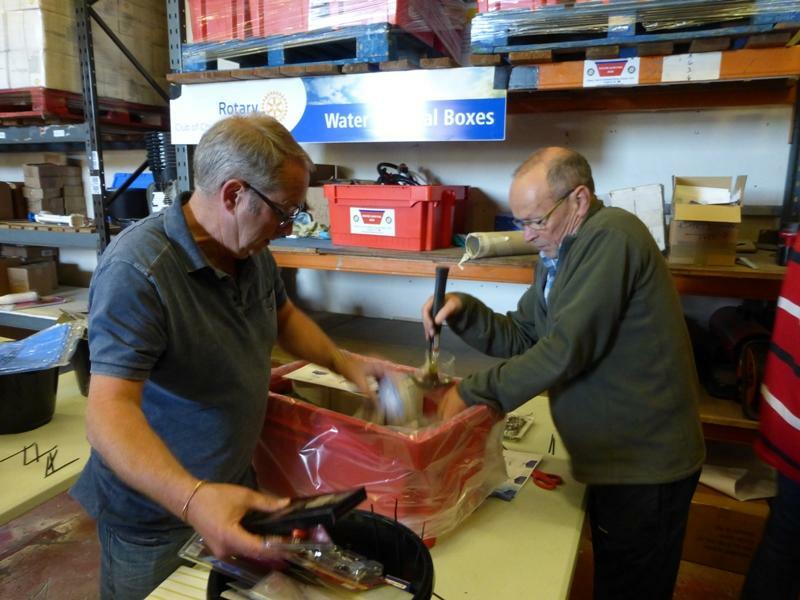 When emptied the contaner becomes a water tank and contains a filtration pack and chlorine tablets - enough for a family of 4 for 4 months. 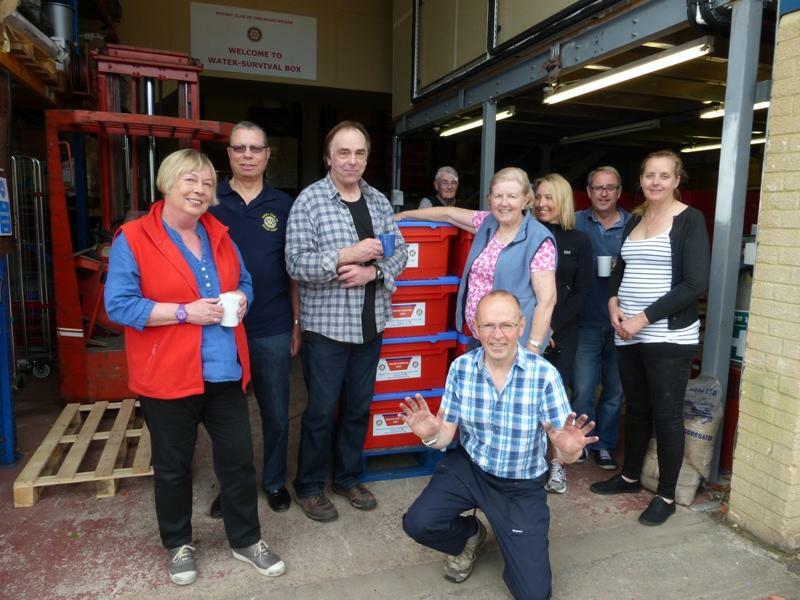 The Club followed this up on 4th June by helping to pack survival materias into 60 new Survival Boxes, part of a second consignmemt soon to be sent to Nepal.